When you run your own business, there’s really nothing like having the joy, the passion and the freedom – the freedom to choose who your clients are, how to define your brands, how you want to work and do business, and what you want to support. I believe it’s always good as a business to be philanthropic when you can and put back into our communities. 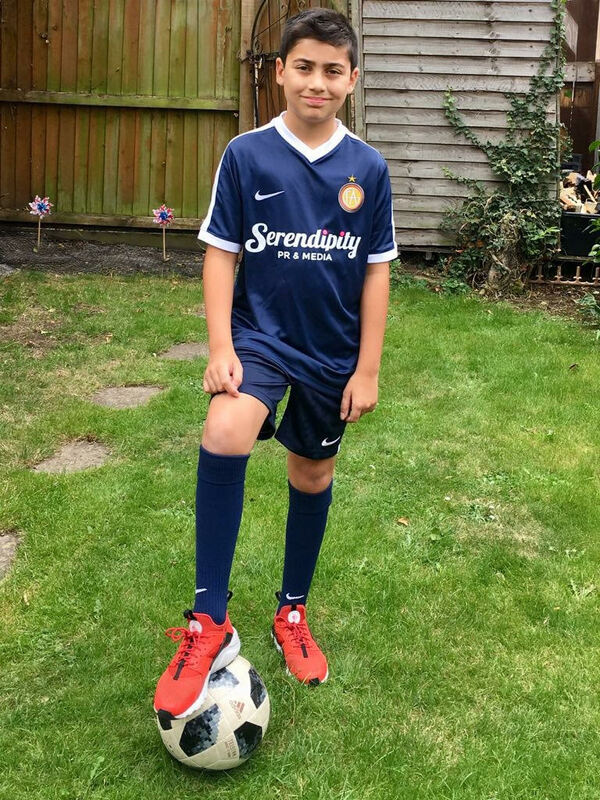 So, sponsoring my son’s football team for his local football club, GFA (Grassroots Football Academy and Football Club) Enfield this year was a no brainer. It gives me a great sense of joy and pride, not just as a mum, but as an entrepreneur; a woman in business. There’s such a good feeling of being able to support a local sports project, which brings children together. GFA Enfield is set up by two FA qualified coaches, gives children the access to football in their own environment irrespective of their age, gender, physical condition or background. It helps them to build their social skills, understand about working as a team, builds their confidence – all while playing football. On Sunday 9 September, my son’s team, the GFA Under 12’s Tigers got their new kit and won their first match, 6:2. The team played with flair, heart and determination; and of course with a little bit of serendipity magic! In June this year I was delighted to be approached by the Indian women’s magazine, Woman At Work for an interview about my background and career. It’s a magazine for the working woman, where in India, women constitute to more than 30% of its workforce. Working women here, have made their presence felt across sectors and professions. Woman At Work magazine is a first-of-its-kind professional magazine and with a digital platform for talented women at work in India, which launched in 2015. The magazine aspires to go beyond the conventional domains of home and family management, instead showcasing the different aspects of an everyday career woman. Perhaps quite understandably and to be expected, within a year of its launch, the magazine reached more than 300,000 readers across India; showing how ready people were and are for – Woman At Work. The questions asked were really thought-provoking and made me take stock of my diversity and cultural heritage. It was a great personal exercise for me to do – a chance to reflect and actually be proud of myself of how far I had come and all what I had done. Sometimes we can be really focused on providing others with encouragement and support that we can forget to do the same for ourselves. Or perhaps, we are moving from one task or challenge to another without a chance to stop and take stock, to realise how far we’ve come and to congratulate ourselves for what we’ve done. A great start to my new term! It is always good news when you can reveal a new client, but it is even better when you can announce a new client, who is making a difference and is big on purpose…and I am delighted that Serendipity PR is working with three female rowers, Caroline, Jess and Susan, who together are Status Row. 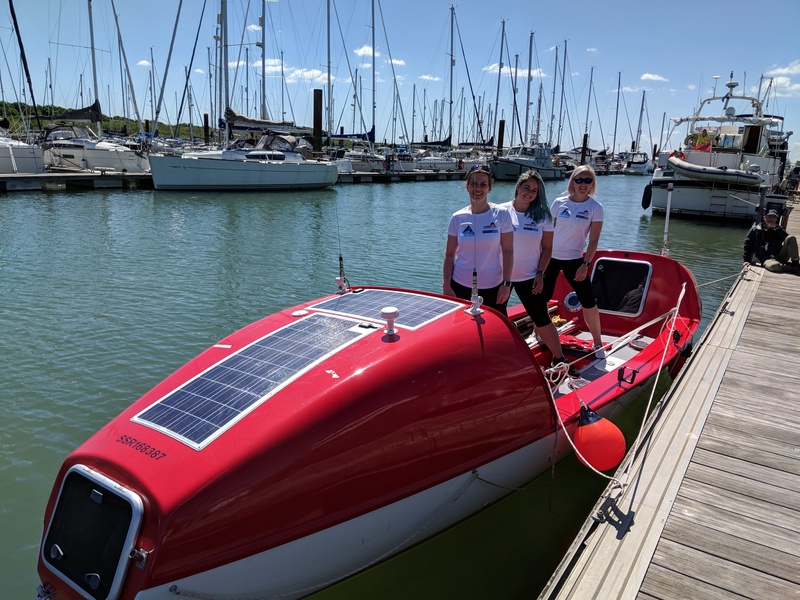 Status Row is participating, as the only trio female rowing team in this year’s well-known Talisker Whisky ​Atlantic Challenge, the premier event in ocean racing and the world’s toughest challenge – 30 crews from around the world competing to cross 3000 miles of ocean, powered only by their own strength and determination. If that wasn’t a mission enough? !, Status Row also want to break the world record both for men and women, and plan to row across the Atlantic in 50 days! The current male record is 51 days and for women it is 60 days. ​Status Row are rowing for the highly-respected charity the​ Marine Conservation Society and want to raise awareness about the plastic pollution affecting our seas, oceans and marine life. 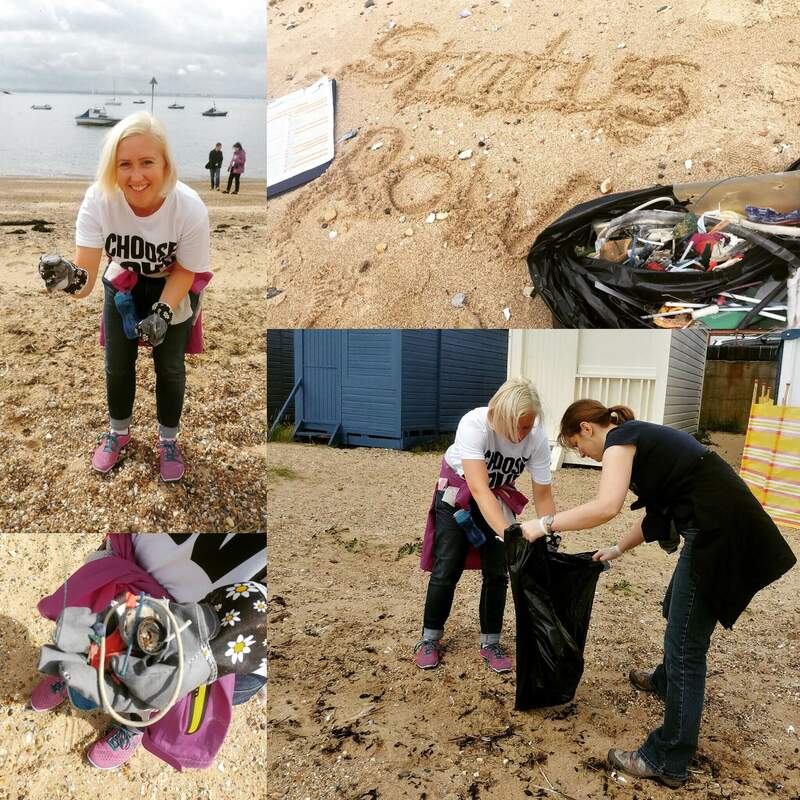 Status Row have always been committed to the issues surrounding sustainability and the environment. They really want to make a difference to the planet. By day, Caroline, Jess and Susan are London office workers, who came together as rock climbers. They are now being trained by Olympic rower, Guin Batten. They have their boat and will ​set sail this December and are looking for sponsorship, to raise as much money for the Marine Conservation Society and have got off on to a good start and been supported by businesses and individual supporters; which ​includes business woman Deborah Meaden, who is also on the BBC TV show Dragon’s Den. Right now, it is estimated 12.7 million tons of plastic – everything from plastic bottles and bags to microbeads – end up in our oceans each year. That’s a truck load of rubbish a minute. Sadly, and disturbingly, this plastic is turning up in every corner of our planet – from beaches, to uninhabited Pacific islands. It is even found trapped in Arctic ice. Plastic is now entering every level of the ocean food chain and even ending our plates, which why what Status Row is doing is so important and there is a big Return on Investment for companies who sponsor them, as your logo will be on the boat and will be seen by a global viewing audience, giving a brand international reach and brand association as the official broadcast partner is The National Geographic. Crucially, it will also mean that your company will also be part of this great sustainability awareness campaign to rescue our oceans and marine life; and is also why Serendipity PR has also decided to be a sponsor. The last time I was back in Delhi was a year ago and each time I arrive back in the city, I notice how much it has changed. It’s a place that is continuously growing with new buildings, new suburbs and new brands. It’s a hub of activity and while I was there, numerous international conferences and events were taking place. Delhi is a place that I used to know and a place that I love. It has something called the Delhi vibe, wrapped up in its own special smell of heat and dust…and so, it was here that I found on 27 April, where I stayed till 2 May. 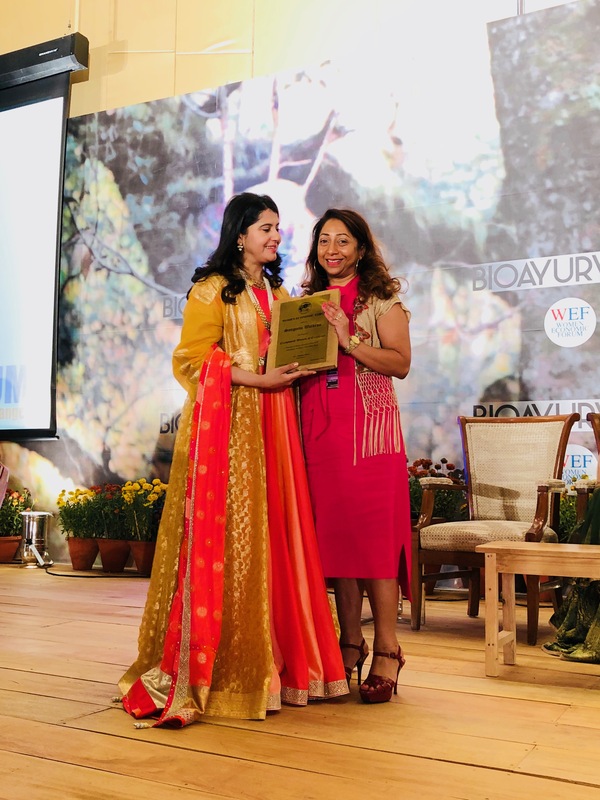 As I was fortunate to be invited to speak at two different events – the first was at the India CSR conference on CSR and Leadership, and the other was the Women’s Economic Forum (WEF) where I spoke about the power of networking, PR and social media. At both events I was honoured to receive two different awards, but both awards acknowledging my work, for which I am very grateful. The first accolade was the India CSR Author’s award and I have been writing on this topic globally for more than seven years…working on this topic since the 90’s. The WEF award was for an ‘Exceptional Woman of Excellence’ in my field. Delhi is alive, vibrant and there are huge opportunities right now for doing business, collaboration, networking and creating new ideas. On this trip to Delhi, I also took my client, LID Publishing who publishes business books, as they are keen to explore the Indian market. It was important for them to experience India, see how it operates and breathes, and of course for me to make them a few strong introductions. And I too was making connections for my next business venture, which is an Indian British Trade Expo taking place here in London in November, which is being supported by the House of Lords. I am proud to say that Serendipity PR is one of the media sponsors for this event. I shall leave you with this last thought – India is set to become the third largest economy in the world. http://serendipitypr.co.uk/wp-content/uploads/2018/05/India.jpg 433 770 sangeeta http://serendipitypr.co.uk/wp-content/uploads/2017/02/serendipity_logowhite340-300x138.png sangeeta2018-05-11 10:49:172018-05-11 10:49:17Indiaaaaaah!! Yesterday, 8 March 2018 marked International Women’s Day (IWD), a global celebration of women’s social, political and cultural achievements, while still pushing for progress for future generations. In the last year, we’ve seen women from all walks of life stand up and start the conversation on issues that women still face, from gender equality, to fair pay and sexual assaults. This year’s theme is #PressForProgress, a call-to-action to press forward and progress gender parity. Thanks to two recent big social media campaigns – #MeToo and Time’s Up movements, the call for change this year has not gone unnoticed. 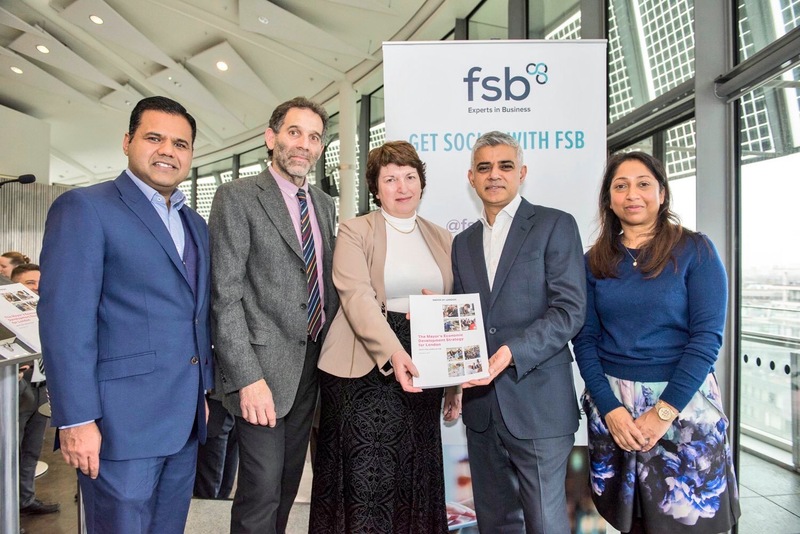 I am a member of the Federation of Small Businesses (FSB) and am also on its Diversity Taskforce, and this year the FSB created a very strong and inspiring digital campaign to raise the visibility of role models for women entrepreneurs. It’s called 100 FSB Women. These women come from all sectors and each has a special story to tell and valuable advice to impart to other women. 2018 is the 100-year anniversary of when the first women got the right to vote, following the suffragettes’ campaigning, and the FSB felt it was fitting to feature 100 women FSB members and share their wealth of advice and inspiration with women all over the world. I am very proud to be alongside these women and be part of this 100 and for my business tip to be featured by Business Leader. The UK currently has 5.7 million small businesses and self-employed, but it is estimated that could be boosted by a further 1.2 million new enterprises led by women. This untapped business potential of women can be tackled, in part, by increasing the visibility of role models for women entrepreneurs, according to a recent FSB report. Sadly and perhaps unfairly, research shows that women are less likely than their male counterparts to know a person in business and, as a result, have fewer opportunities to benefit from exposure to others with business experience and are less likely to see people like themselves succeeding. Entrepreneurship was once considered a man’s domain but this is changing throughout the world – Nigeria now outranks the US and the UK in terms of percentage of entrepreneurs among women with a rate of 41% for the African country against 10% and 5.7% for the two developed countries respectively. Yet women in Nigeria and other developing economies have shown to be 20% less likely than men to have a bank account and 17% less likely to have borrowed formally. Factors such as legal restrictions on women to open bank accounts without a male relative’s authorization are a challenge for women in the region. 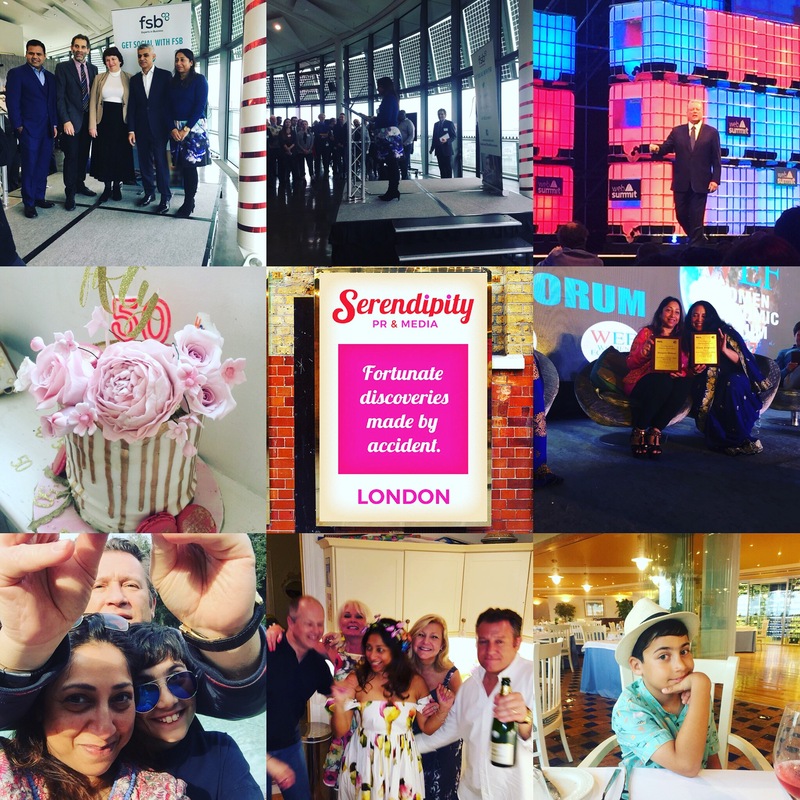 It has taken me three months to get down to writing this post…three months into this year and that’s because so much has been happening since we started 2018…from bringing two like-minded organisations together to create and launch a library in the City of London; to being invite back again by the Mayor’s office to speak about being a London business and the need for diversity; to helping a client participate in a London China expo to working on some exciting launches including the media campaign for a business book called The Responsive Leader written by an influential thought-leader, Erik Korsvik Østergaard, who is making waves with his new book. While all this has been going on we have had the #Metoo and #TimesUp social media campaigns have gone viral and as I write, we are heading towards International Women’s Day (IWD) on 8 March. Findings from reports tell us that gender parity is over 200 years away; which is why there has never been a more important time to keep motivated and #PressforProgress – this year’s IWD theme. There is a strong global momentum striving for gender parity. To help mark this day the FSB is raising the visibility of role models for women entrepreneurs with an international digital campaign called 100 FSB Women. As part of this initiative Serendipity PR is actively supporting the FSB Women’s London network; and we have helped source one of its speakers and organised a free business book for attendees. This special book is called Read My Lips by Swedish TV personality Elaine Eksvard, published by our client, LID Publishing. Wouldn’t life be easier if we could get people to listen to us in every situation? This book teaches us how to persuade our listeners, be professional and personal, without being private. Eskvard is best-selling author of Ruling Technique, Living Power and Talk Nice. 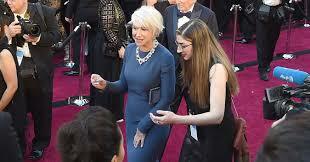 http://serendipitypr.co.uk/wp-content/uploads/2018/03/Helen-Mirren.jpeg 162 310 sangeeta http://serendipitypr.co.uk/wp-content/uploads/2017/02/serendipity_logowhite340-300x138.png sangeeta2018-03-05 23:26:532018-03-05 23:28:13It’s March! Serendipity PR has a big wonderful year, full of opportunities and special moments and with the New Year’s around the corner I wanted to share my gratitude for those who made my journey at Serendipity PR joyful…from the new website and the ‘Serendipity’ rebrand; the new friendships, clients; the travel; the love of old friendships and family. But it was closing the year with the invitation to speak alongside the Mayor of London about running a business in the Capital and about being a woman in business. It was an incredible moment for me, as I took my CEO – my ten-year-old son, because he always gives me good business advice. The moment got even better when I thought I would mention my son in my speech and the Mayor then gave him a shout-out in his opening and also gave him a lot of time. And just on being a woman in business, the Mayor has launched a new initiative called #BehindEveryGreatCity – 2018 marks the centenary of the first women winning the right to vote in the UK. Throughout 2018, #BehindEveryGreatCity will celebrate London’s role in the women’s suffrage movement, mark the progress that’s been made on women’s equality over the past 100 years and take real action to tackle gender inequality in London. This time of year always reminds me of my childhood trips to Foyles, where my mum would take us at the start of the Christmas holidays, where we could choose a few books to occupy us over the Christmas period. I loved these yearly trip, as at an early age I had a deep love of books, that would allow me to escape into different worlds. Foyles those days had a long narrow winding staircase, where everyone would somehow superbly navigate themselves up and down, without colliding into each other. The book shelves used to be stacked and packed, where I would choose my Nancy Drew or something from the Hardy Boys – yes it was that long ago! 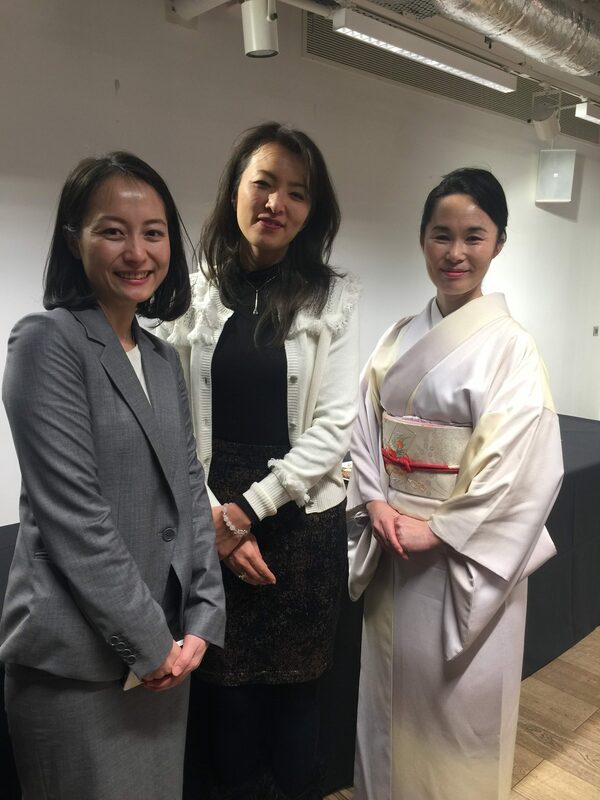 So, it was almost ‘back to the future’ moment when last month I helped organise the book launch for a Japanese business title that I was working on – who would have guessed that that that little girl, would one day be helping to host an author from Japan at Foyles?! Time is indeed a wondrous thing. 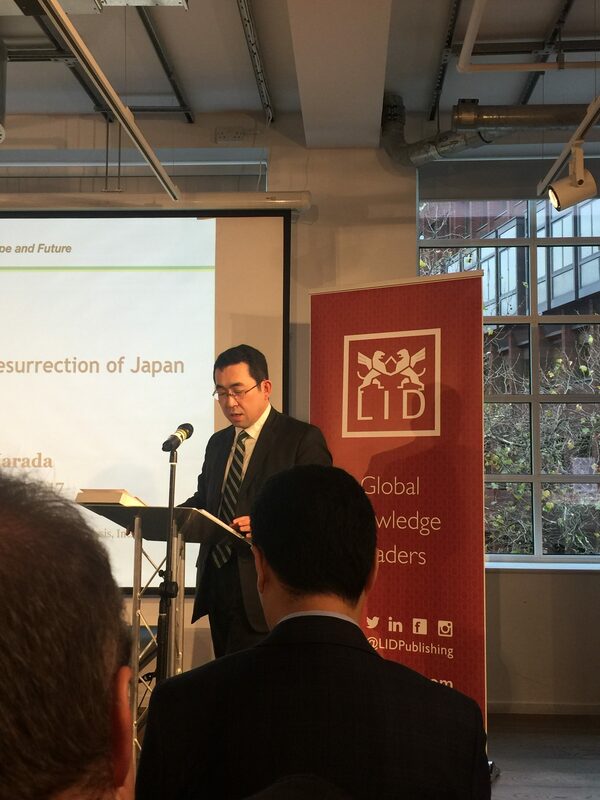 Takeo Harada, former Japanese diplomat and now CEO of the Institute of International Strategy and Information Analysis, a leading think tank is the author of Pax Japonica – a book that is indeed ahead of its time. As earlier this December, Brussels and Tokyo created the biggest open economic area in the world; just as the US is walking away from multilateral trade regimes. The agreement comes as Japan exhibits 2.5% growth, the strongest in a generation. The agreement removes tariffs for Japanese cars and spare parts, while Japan opens up its public tenders to European contractors and its supermarkets to European cheese, wine, beef and pork with guaranteed names of origin. This global headline reinforces the premise of Pax Japonica – Japan, the world’s third largest economy and largest creditor nation, has been in crisis for more than two decades. Its economy has been depressed or in recession for much of that period, its banking sector in a critical state and its public sector burdened by recurring fiscal deficits and mounting debt. Yet, Harada argues in his book that a possible future ’Pax Japonica’ – one in which Japan will overcome its paralyzing debt and once again play a leading role in global finance – can become a reality and is now unfolding. Harada says, till now, the hegemonic role in global trade and financial markets has been assumed by the USA and China, but this is now changing; and that Japan’s role in the global economy can never be under-estimated. To understand what is happening in geo-politics with particular reference to Japan, this book is a must read. It is published by LID Publishing. If you have not been to Lisbon, put it on your travel list…the Portuguese are charming and warm-hearted, living in beautiful city full great places to eat. I was there on a press ticket for what is called the biggest tech event in the world – Web Summit, 6 to 10 November. There were 60,000 people who attended from more than 170 countries to hear and learn from over 1,200 world class speakers that read like a Who’ Who book! From Al Gore to Wyclef Jean to Rosario Dawson, Matthew Freud to the people driving the international news agenda and behind the world’s most influential companies – Margrethe Vestager, the European commissioner who fined Google €2.4 billion, Slack co-founder Stewart Butterfield, Reddit CEO, Steve Huffman, UN secretary-general, António Guterres, and Booking.com CEO, Gillian Tans and more. We’re in the midst of a technology revolution. Some call it Industrie 4.0. Others call it the industrial internet of things… whatever you call it, it’s here and it’s happening. By 2020 it is estimated that there will be 20 billion connected devices and we’re not just talking about domestic appliances or devices like fridges and smart phones, but the big things like buildings, trains and traffic systems, power grids and wind farms – the equipment and machines that provide the critical infrastructure for our lives – and this was the focus of Web Summit. The talks and sessions were mind-blowing, where occasionally you were facing your future, particularly when seeing and interviewing Sophia, the humanoid robot using an early form of Artificial Intelligence (AI). Some of the main thoughts from Web Summit is how AI and tech can be used to reverse the damage we have done to planet – rethinking climate change. There was a strong and a real will at the Summit – to make positive change. I covered this in my two latest articles on Justmeans. You can read my interview with Marcus Shingle, CEO, XPRIZE and my Al Gore piece.